Two workers at the crippled Fukushima nuclear plant in Japan were found to have been exposed to radioactive particles – just days after 10 workers were sprayed with radioactive water at the beginning of last week. Two dust monitor alarms rang out in the main operations center in the plant, where radiation levels are normally low enough not to need to wear full face masks, the plant’s operator, Tokyo Electric Power Company, said in an e-mailed statement. 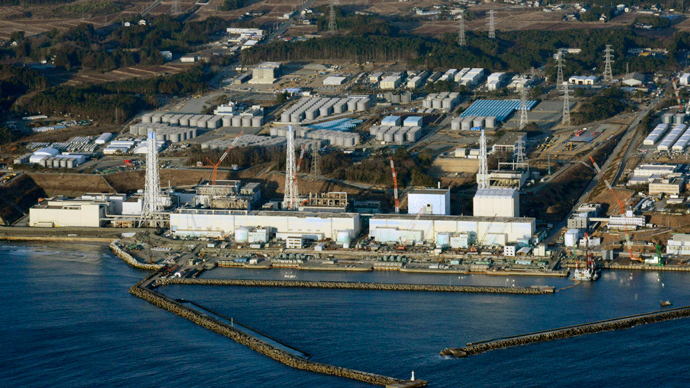 The latest incident comes two and a half years after three of the plant’s reactors suffered a meltdown in Japan’s worst-ever nuclear power disaster. Two workers who were at the end of their shift and were waiting for a bus out of the site had their bodies wiped down, and full body checks showed the staff members had received no internal contamination. 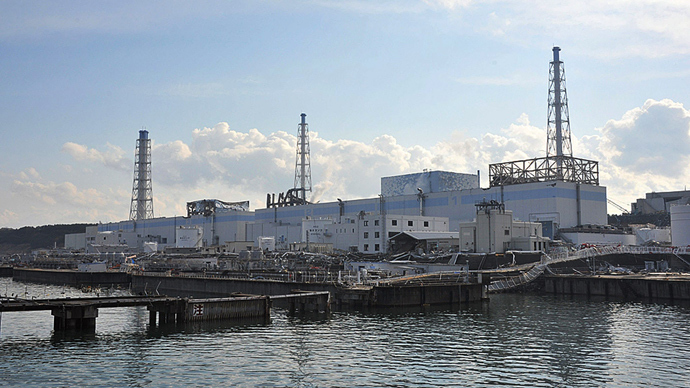 Although TEPCO said it could not be sure that the sounding of the alarms was definitely connected with the discovery that the workers were contaminated, the incident is being investigated further. Last week 10 workers were also found to have been contaminated with particles, which TEPCO suspected came from a mist sprayer used to keep staff cool during the hot summer months. The cooling devises were switched off and workers were also banned from using tap water, which comes from the same source. Also last Monday a separate alarm, which indicates high radiation levels, went off at the continuous dust monitor installed in front of the main building. As a result workers were instructed to put on full face masks in areas of the site where they had previously not been required to do so. On August 11, Tepco said that a newly built observation well contained highly toxic water. The well, which was drilled just four meters from the sea on August 7, contained 34,000 becquerels of radioactive tritium per liter. There is also considerable concern that protective barriers installed to prevent the flow of toxic water into the Pacific Ocean are proving ineffective. Japan’s Health Ministry recently estimated that 300 tons a day of contaminated ground water had been seeping into the Pacific since the disaster in March 2011. Japan’s Nuclear Regulation Authority has called the situation at Fukushima a “state of emergency” and the government announced earlier this month that it would be becoming more involved in the clean-up work after TEPCO denied for months that radiation was leaking into the Pacific. The most serious problem at Fukushima is the removal of the spent nuclear fuel rods, inside the stricken reactor buildings. The operation, which is planned to begin in November, will be extremely dangerous and complicated because the structure of the fuel pools where the rods are located has been severely compromised. It is also not known to what extent the rods were damaged when they caught fire immediately after the tsunami. The rods were also corroded when engineers used salt water to cool them, but it is unclear what state they are in. As computer-guided removal is impossible, the job will have to be done manually, Christina Consolo, a nuclear fallout researcher, told RT. If an event such as a fire or another earthquake occurred, she explained, the rods would be in extreme danger and some experts say that the situation would be so serious that most of northern Japan would be uninhabitable. Their removal is a job fraught with danger for the workers involved. 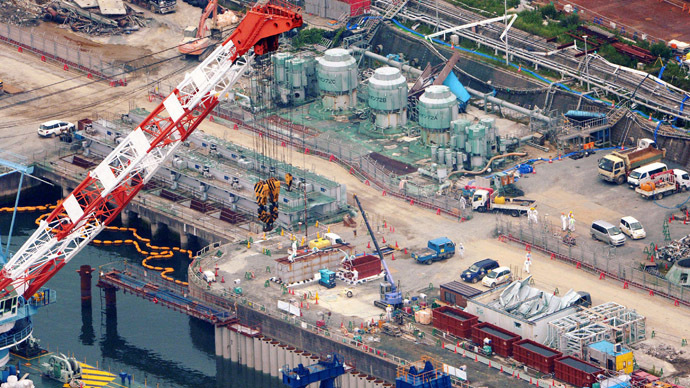 TEPCO admitted last month that as many as 10 percent of the workers who have been involved in the cleanup may be at risk of developing thyroid cancer. It also put the number of staff irradiated at 11 times more than estimates it had previously given to the World Health Organization. 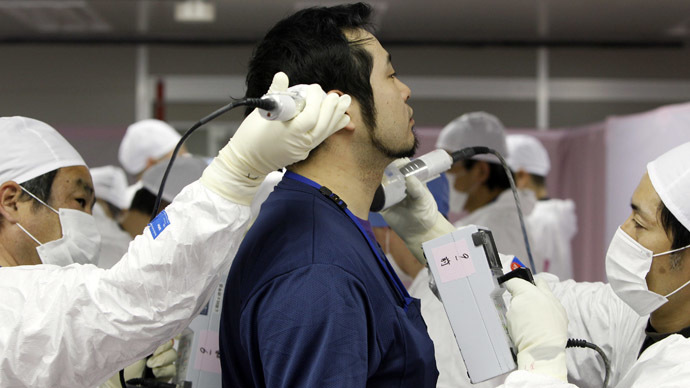 The total number of workers who have been exposed to dangerous levels of radiation is now being given as 1,978.